As the first point of call for new clients, it's critical your online presence tells the right story, well. We can help you design a site that shares your brand story, connects the dots for your clients, and builds your business. We'll work with you to design a website that helps you capture new leads and increase conversions, while being easy for you to edit and update when you need. Each of our website design projects starts with an in depth needs analysis so that we're fully across the detail of your business - helping us to craft the blueprint of your digital story. While we work on bringing it all to life we'll check in regularly to make sure you're on the same page, making recommendations and taking on feedback as we co-create your digital story. When we're ready to share your story with the world, we'll give you the skills you need to be able to update your website as your business grows - but we're always on hand to help if and when you need. We worked with Faculte3 to update their core messaging and online content to better reflect the problems they solve and the value they add to their clients. 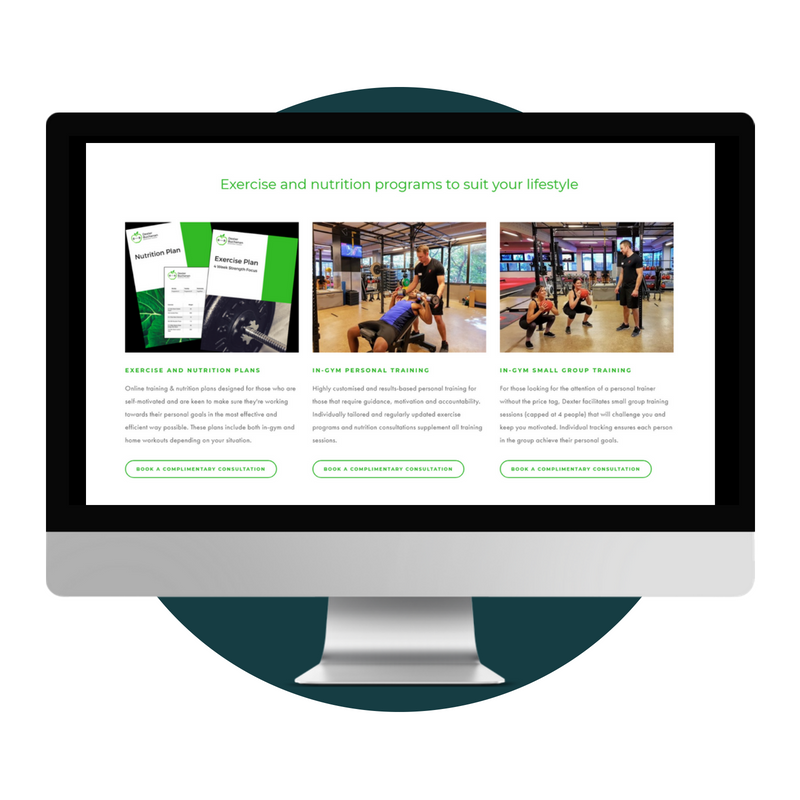 A busy personal trainer looking to branch into online coaching, we worked with Dexter Buchanan to create an online platform to generate new enquiries, with room to grow through eCommerce functionality as his services do. FuseBot is an intelligent chatbot for accountants. With the product still in development phase, we created a clean and simple website site that would pique interest and generate enquiries.